3 Responses to Why, Oh Why, Didn’t I Buy A One-Story House? Aw com’mon what’s the fun in THAT!?! Yeah, scaffolding is the only way to do that. 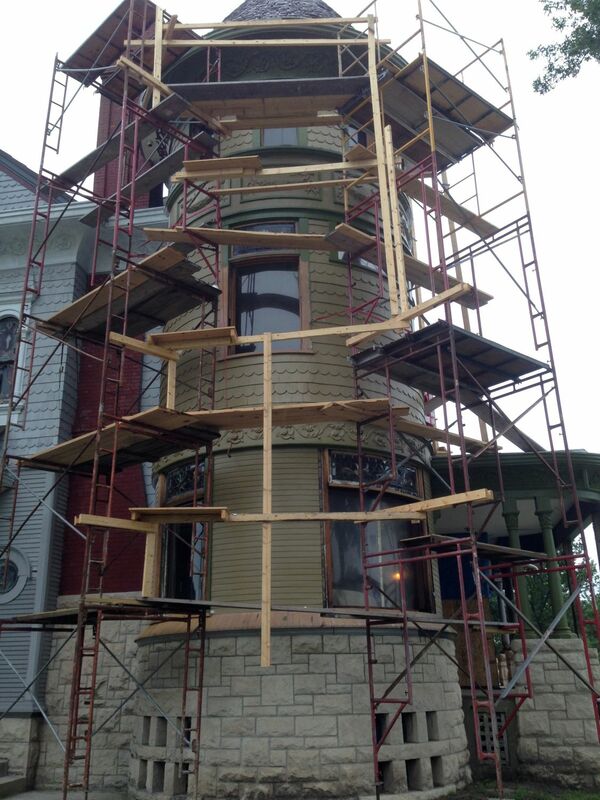 I briefly started our exterior restoration off of ladders, before realizing scaffolding was an investment that would pay off very quickly. I don’t have to deal with curves, though, so hats off to you on that.